Born in Gilbertville, daughter of Adam & Mary Kascht Schares. 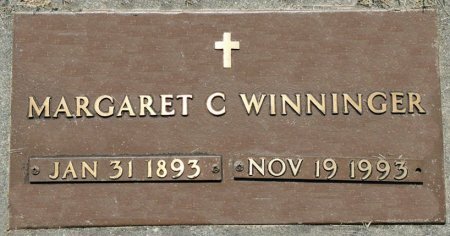 She married Peter C. Winninger on Oct. 20, 1920 in Gilbertville, and he died on Nov. 24, 1963. Searching for MARGARET C. SCHARES WINNINGER in Black Hawk County Iowa?